This article was produced by Glacier FarmMedia's sponsored content team on behalf of Bayer. The Western Producer's editorial department had no involvement in the creation of the content. It’s important to watch for signs of infection, but if you can see fusarium head blight symptoms, it’s too late to manage it. A couple of dry seasons may have provided a reprieve, but Fusarium head blight (FHB) is a not- too-distant bad memory for most Prairie cereal growers. Because the inoculum that causes FHB remains prevalent across the West, all it will take is moisture at the right time for the disease to flourish again. The good news is that today’s agronomics, technology, seed varieties and fungicides can combine to help manage the impact. Cranston says that waiting until as many heads have emerged as possible to apply a preventative fungicide at that FHB stage will provide protection for the head and flag leaf from mid- to late-season. 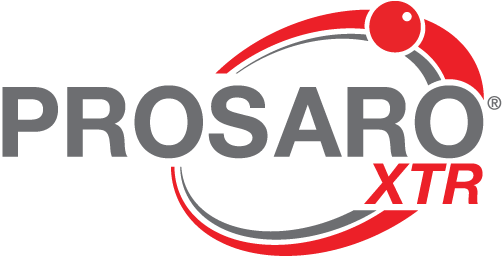 Group 3 fungicides such as Prosaro® XTR have both preventative and post-infection properties for effective leaf disease control as well as protection against FHB and the deoxynivalenol mycotoxin (DON) it creates. Cranston says that the mode of action of Group 3 fungicides (used in Prosaro XTR) inhibits sterol biosynthesis. Of the three most common fungicide modes of action used in cereals today, Group 3, 7 and 11, Group 3 fungicides have the lowest potential for resistance development. Prosaro XTR also contains mefenpyr, which helps manage abiotic stresses like heat, drought, naturally occurring toxins and soil-borne pollutants to allow the crop to become more productive, which helps set it up to better battle disease. Cranston cautions growers not to become complacent in the growing season following a dry year because two sides of the disease triangle are always present — the inoculant is in the soil and cereal crops are being grown. “We are never immune to FHB infection,” he says. “While the amount of inoculum may decrease slightly after a dry year, fusarium survives well in the trash and on other susceptible hosts. We have the tools now to keep those levels low and make sure we manage disease levels in a timely manner before it can take down yield and grade. Bayer’s Climate FieldView™ digital platform takes data from a number of partner applications and presents it in one place so growers can see the value in their decisions based on as much information as possible. The platform has been available to western Canadian growers for two growing seasons and is continually being updated with satellite data and other historical information. FieldView is compatible with multiple equipment manufacturers and is constantly increasing its equipment compatibility, making it easier to get all of your data in one place.